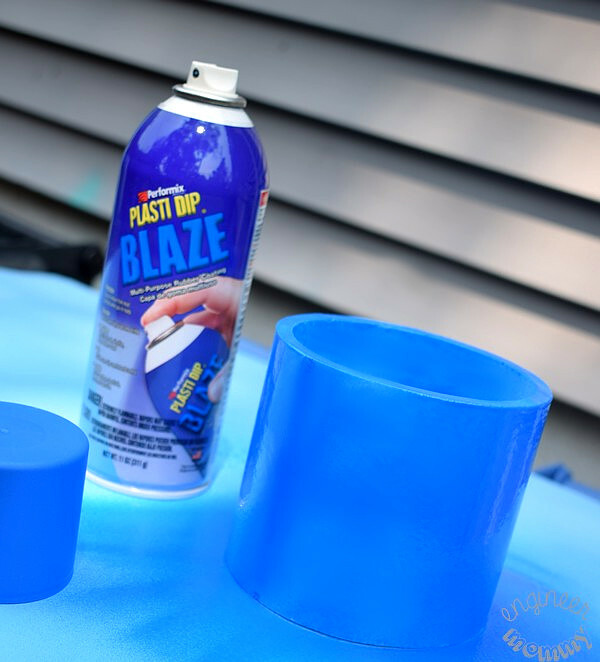 This is a sponsored post written by me on behalf of Plasti Dip for PayPerPost. All opinions are 100% mine. I have always been a fan of DIY Planters. I have made quite a few over the years, but I never made them from pipes! 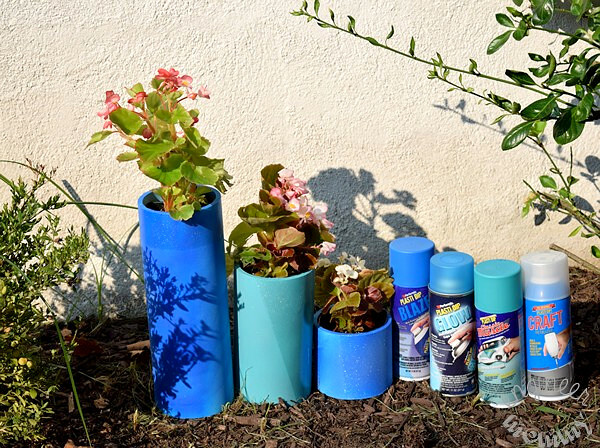 Today I’ll be sharing how I used a series of PVC pipes to make some awesomely colorful Color-Blocked PVC Planters. To kick up the fun on these planters, I used Plasti Dip, which offers a fabulous range of coating solutions and enhancers. This product line is perfect for various DIY crafts and is available in 50 colors so you’re only limited by your imagination! 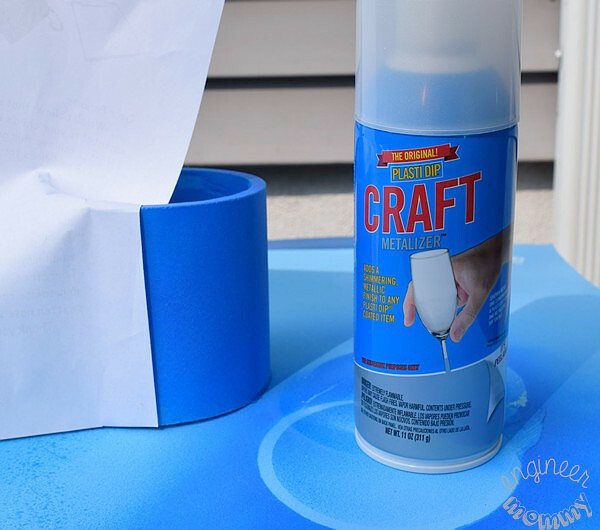 Want to try Plasti Dip for your own projects? 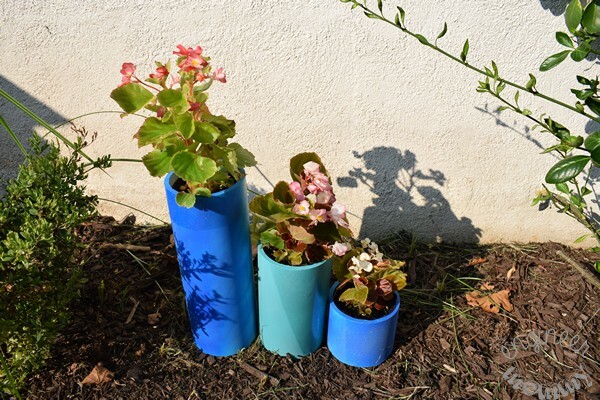 Click here to find a retailer near you and keep reading to see how my PVC Planters came together! 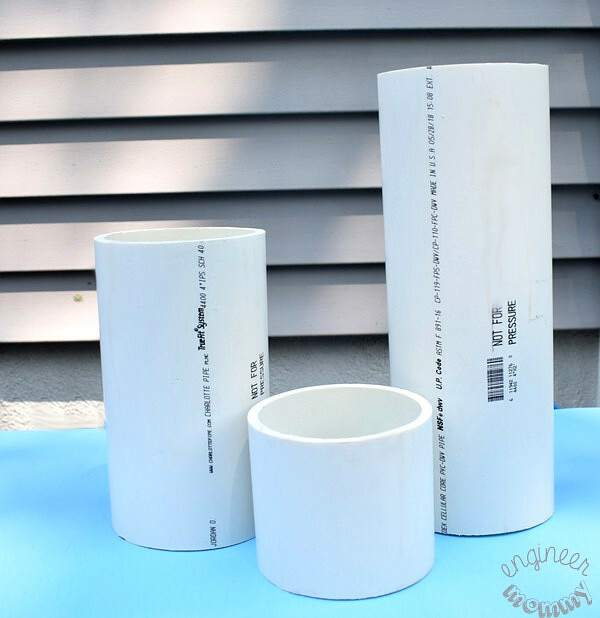 Get three pieces of 4″ diameter PVC pipe cut to the following lengths: 6″, 12″ and 18″. Spray Plasti Dip in Blaze Blue on the smallest and largest pipes. Did you know that Plasti Dip provides an air-dry specialty rubber coating? If you’d like to experience Plasti Dip for yourself, find a retailer in your area. On the third pipe, spray Plasti Dip in Tropical Turquoise. This product applies like spray paint, but it’s much more versatile. Not only is it insulating and slip-resistant, but it’s also peelable once dry! 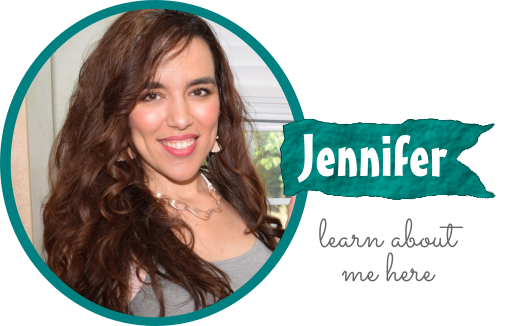 This means you can create a project and when you’re ready for a change, simply peel off and start again! To add a brighter hue to each of them, I sprayed each of them with Plasti Dip GLOW. To add more visual interest, I used the Plasti Dip Metalizer on the pipes next. I used a piece of paper to create a vertical color-blocked effect on the smallest pipe. Here is what it looked like after drying. You can see that half of the pipe is metal-ized and the other half is glowing! 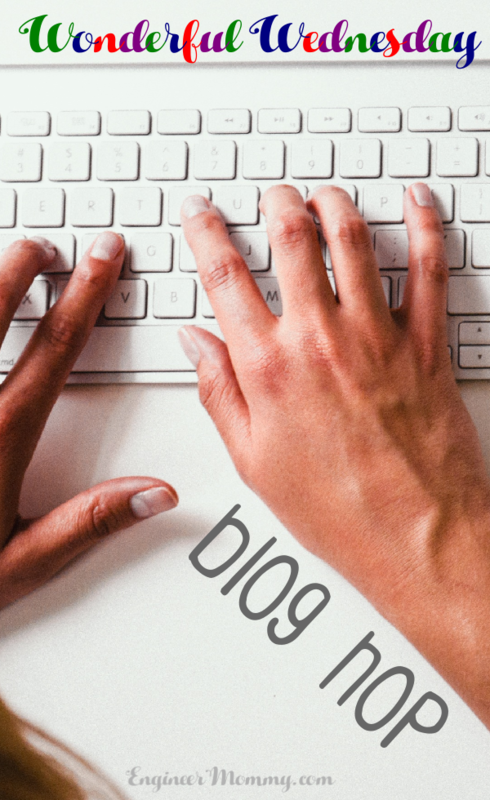 By the way, Plast Dip remains flexible over time so it’s a very forgiving product to use! I also used the Metalizer spray on the largest pipe (horizontal line) and on the middle pipe (diagonal line). I placed all three pipes right in my flower bed! I grabbed some small flowering plants from the home improvement store. I placed one inside each of the pipes. 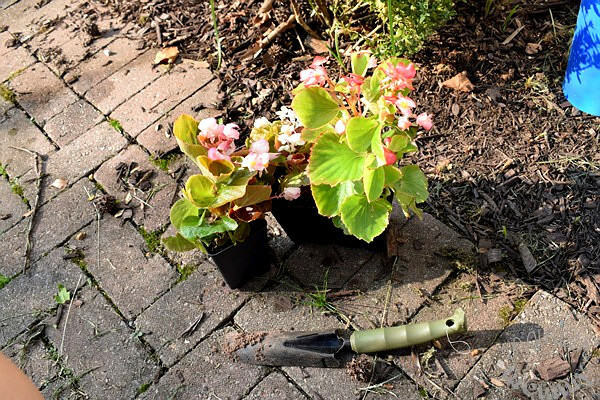 As I water them, the excess water will simply go right into the ground. If you want to use these pipes indoors, simply place the pipes in a shallow dish. I love the way these planters came out. 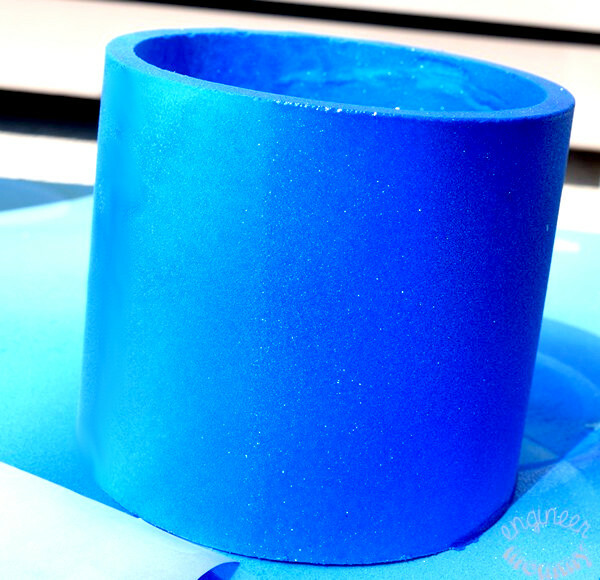 Since Plasti Dip is peelable, any mistakes can be easily fixed. If I want to change the colors down the road, I can peel these off and start over! That’s something I really appreciate! The bright colors, the geometric color-blocking and the smooth, sleek lines all make these planters a perfect addition to my backyard. The Plasti Dip product line conveniently protects against moisture, acids, abrasion, corrosion, and skidding/slipping, so it’s naturally perfect for use outdoors. However, it can be used for so many indoor projects, as well. By the way, thanks to the rubberized texture, these planters now have such a comfortable grip! 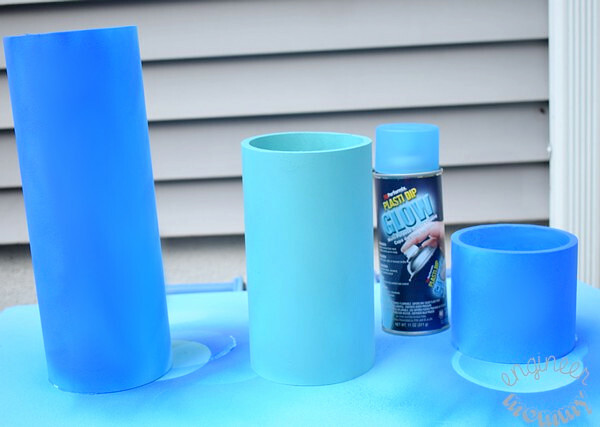 If you’re looking to spruce up your home decor crafts this year, check out Plasti Dip! It’s available in 7 colors and 3 enhancers: Crisp White, Lemon Yellow, Tin Roof Red, Pumpkin Spice, Midnight Black, Gulf Coast Blue, Gator Green, Glossifier Enhancer, Silver Metalizer Enhancer and White Pearlizer Enhancer. It’s available both online and in-store. You can get yours at Amazon or shop now at Awarehousefull. 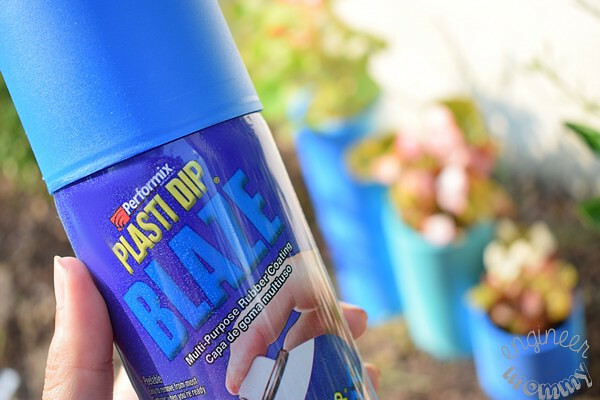 Since Plasti Dip is super versatile, it’s the perfect addition to your DIY toolkit! Find a retailer near you. How would you use this innovative product? 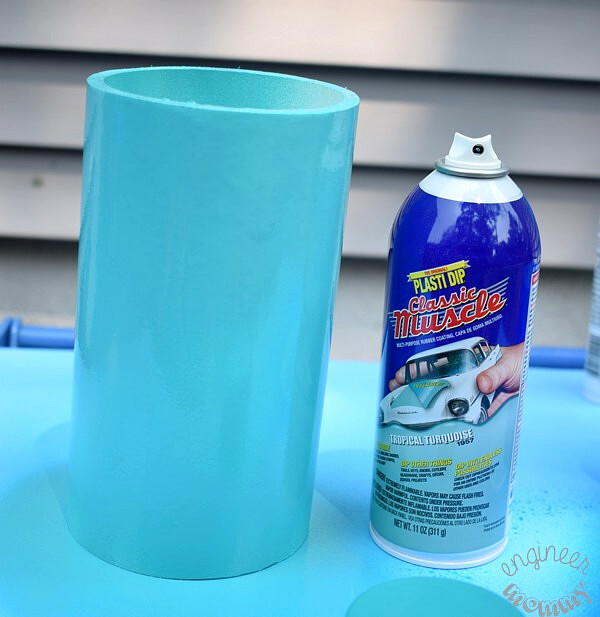 Have you ever made a DIY Planter? Those are so cute! I love that pop of color they add to the garden. I also love how easy they are to make! 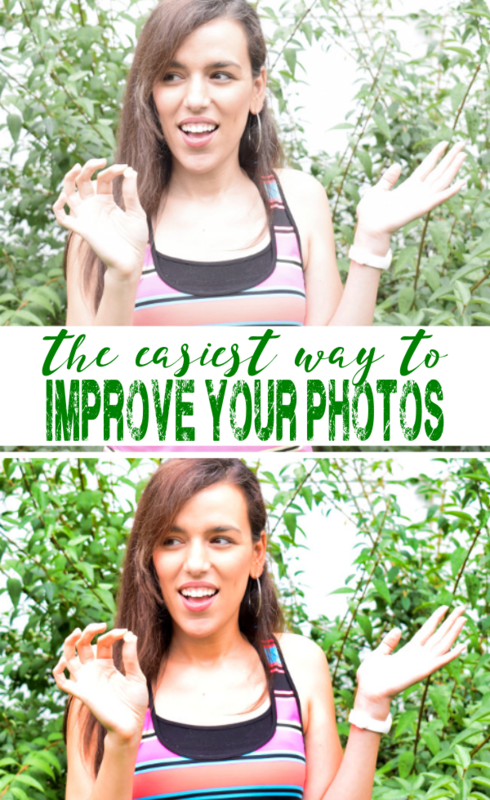 They are totally easy, Stacie! What a cute way to display plants. I am bored with my planters, so this is happening this weekend. These are such cute and colorful planters! I love that you made them out of PVC pipes, so creative! This is really creative! I like that you can easily peel and change the color if you want to. I’d love to do this too! Hope you try it! This was a fun project! The possibilities of what could painted with this stuff are endless! It looks like it made a great, bright finish. What a neat idea for a project! So easy, too. The possibilities would really be endless as far as colors and combinations. Only limited by your imagination! You can create any combination of colors and designs! 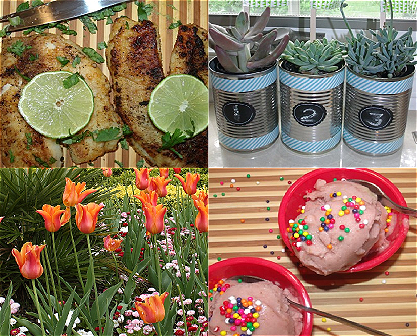 Love the versatility of this project. This is such a cute idea! I love the color it adds to the garden. I’ll be passing this info along to some fellow moms who have been looking for new ideas to spruce up their garden. Yes, it adds a gorgeous, bright color to our garden! That is such an easy and fun project to do. I would love to make a few of them for some plants I have! 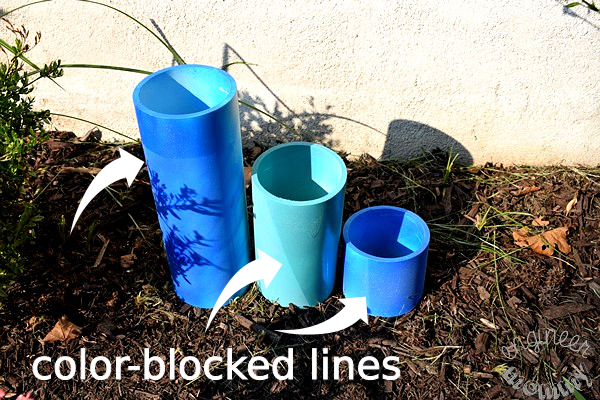 Using pvc pipes as planters is such a brilliant idea. And painting it like that is so pretty. Great job! These are so cute! 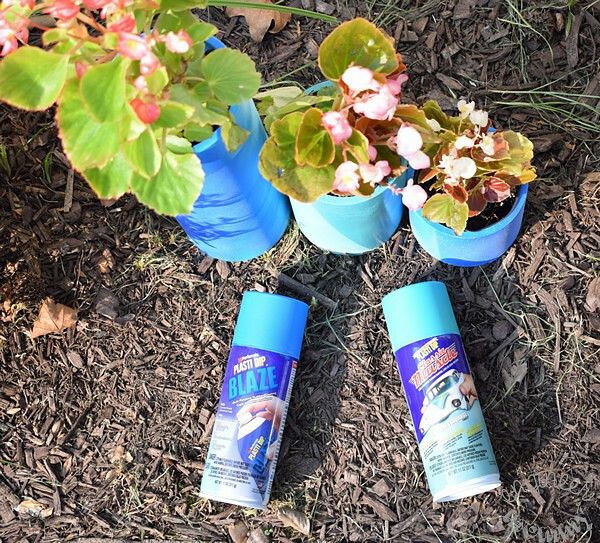 This is such a easy DIY and perfect way to give your garden a little extra color and fun! Yes, the bright color totally makes me happy! It adds a fun touch to the garden! I love your potted plants! Too bad I don’t have much of a green thumb, but this didn’t stop me from making a note on the PVC planter. I can always recommend to my gardening BFF ha! Aww, thanks Cindy! This was a fun project for sure!